Parent and child (or children) teams explore science and technology topics in a fun and educationa lway. Monthly adventures in discovery will be offered at the Environmental Outpost on 585 Big Oak Road Smyrna, DE 19977. Two hours in length - 9:30 a.m. until 11:30 am – with a fee of $6/person. Due to weather and other conditions beyond our control, we may, in some instances, have to substitute other activities. The fee for the 6 hour Vacation Exploration is $35 per child. Pay by exact change or check. Make check payable to: “DASEF”. To sign up email your name, number of participants, and your phone number to: Lynne Bloom at dasef.outpost@gmail.com or call (302) 834-1978 or (302) 659-5003 and leave a number where we can reach you. We all play with toys, but how much do we understand about the science behind how they work? Come play with some toys and figure it out! You and your child will play a hovercraft targeting game to explore air pressure, use the ancient art of origami to make a jumping frog that uses action/reaction and a balloon that employs friction, and see how well the friction between Lego bricks holds them together. Test the mysterious properties of the gyroscope and learn how they are used to guide spacecraft. And make and take a sock puppet, using the vibrations of your vocal cords to give it a voice. Learn while you play! Come to DASEF and connect with electrical circuits! You and your child will work with "Snap Circuit" kits to construct working circuits like those you encounter every day. Discover materials that either conduct or insulate electrical current, and make a simple light switch. Build, test and take home your own "Steady Hand" game and electroscope. Your circuits will be humming with scientific discovery! Join us for a scientific holiday adventure! You and your child will learn about chromatography while you make a decorative string of lights and you'll puzzle over holiday optical illusions. Make winter animal cookies. Join in the Jet Balloon Rudolph Race, construct a toyshop from toothpicks and gumdrops, and make a parachute, in case Santa has to ditch his sleigh. And there just might be a visit from the jolly old elf himself! Ho, ho, ho!! A scientific journey to the stars awaits you! You and your child will learn about the stars and our galaxy in our Star Lab. Make a star clock you can use with the night sky. Watch a short video to get an idea of the size of the known universe, make and project constellation images, and create a new constellation to honor a person of your choice. Finish your day with a tour of our newest exhibit: the outdoor Galaxy Garden! And, if you choose to, you can bring a space themed supper and then stay for the evening's Eyes on the Skies observatory program. Expand your universe! Learn about NASA's newest data-gathering mission: the Parker Solar Probe, on its way to "touch the sun"! 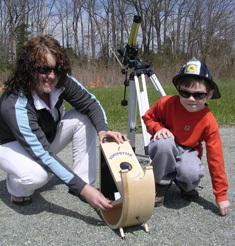 You and your child will use our sun spotter, solar tower, and a filtered telescope to view the sun and track its movements as the earth turns. You will see how NASA receives images from space in the form of pixels, and be challenged to design a way to insulate a satellite from the massive heat of our closest star. Finish your visit by making and taking a bracelet of sunlight sensitive beads. Science is heating up at DASEF! NASA is racing toward new planetary discoveries. Come race along with them! You and your child will get the most up-to-date information about Mars, via data from NASA's Insight planetary lander. Design and build a model of a planetary rover and a robotic hand. Do a demonstration of how planetary impact craters form. Draw a scaled picture of the solar system, then go on a planetary walk that stretches from one end of the property to the other. Claim your place in space! Writing computer code is a skill that can begin your journey to becoming a software engineer. Start your trek to Silicon Valley with DASEF! You and your child will play games and do activities that will introduce the basic principles of coding. One of you will become the programmer and the other will be the robot, accomplishing simple tasks like stacking cups, finding a hidden jewel, and spelling out a name. Learn about "looping" and how it makes it easier to repeat steps in a process. Learn about "debugging" an algorithm, or a set of directions that accomplish a task. Programming fun and learning! Screen writers, directors, movie producers - time to make your first movie! Drop your child off at the DASEF Outpost to experience the science of animation. They will start out simply by making thaumatropes to test the persistence of vision. They will move on to constructing flip books to create simple animation. 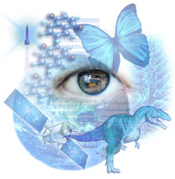 With the help of an Agilent Technologies kit, they'll make a praxinoscope to make still pictures come to life. Later they will see a few stop action animated short films and use software on a computer or smart phone to make a stop action movie, from storyboard to completed film. And they'll plan and film a how-to video. Your young Steven Spielberg has to start somewhere!